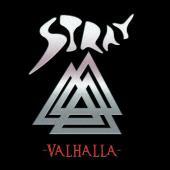 40 years, STRAY has been at it that long, with the ubiquitous guitarist/vocalist/keyboard player Del Bromham at the helm. Today Stuart Uren handles bass duties, and the drummer is called Karl Randall. This new (2008) studio album is produced by Chris Tsangarides (GARY MOORE, THIN LIZZY, BLACK SABBATH), and has been injected with hard rock. Their roots are in the seventies, now with a modern riffola and their accumulated routine. The rock heavily in “Move a Mountain”, and things gets even 70-ies tinted in “Dirt Finger”. The band creates an amazing steamy pressure, and they ought to be a real treat live. Del´s voice sounds better than anything I´ve heard from them in the past. There is s a lot of feeling in “1600 Pennsylvania Avenue”. Del´s lyrics always seem so genuine. A groovy seventies guitar sound in “Free at Last” makes me think of THE EARL SLICK BAND, there is absolutely no lack of variation on this album. The melodic patterns of “Ghostwriter” and “Harry Farr” could go on forever, an achievement that not many get away with. On the minus side I think that “Skin” is a bit thin, and “Free at Last” fails to attract my attention. Chris Tsangarides has provided the album with a matching sound; he has really STRAY-ified it. The roots of the band are preserved while adding a newer hard rock sound. The refrains are hammered in, occasionally a bit to frantic, but mostly in a way that will be hailed on stage and will keep the band going in spite of the many line-up changes. The sixties infused “You” closes the proceedings in a way I didn´t expect but, as I said, there is no lack of imaginative variation. STRAY feels like a vital band. The song material seems fresh within the bands forty year frame, and Del will probably never be too old to rock.